The following are the top financial products I use or have used to help me achieve financial freedom. Each product provides an actionable solution that is synergistic to the advice I provide in my articles. There are literally thousands of products to choose from and I’ve discarded 99% of them. Let me help you cut through the clutter by highlighting only the best after hundreds of hours of research. I’ve met with with the senior management from most of these companies given I live in San Francisco and travel to conferences several times a year. I believe in looking into the whites of each CEO’s eyes before making any recommendation. 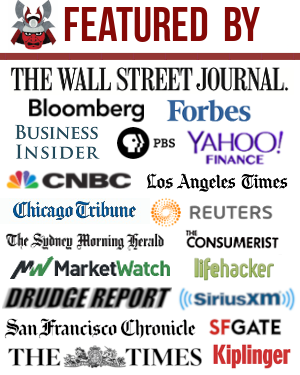 Full disclosure: all products are affiliate partners of Financial Samurai. With every sign up, Financial Samurai may be paid a referral fee. I do not refer credit cards, credit counseling, and payday loans because these are extremely high fee and interest rate products. I want people to save money and earn more money, not pay more money. You only need one credit card at the end of the day, which should always be paid in full. And you should never borrow money you can’t pay back. Fundrise – Fundrise, founded in 2012, is one the best platforms for investors who wish to diversify their real estate exposure. Instead of concentrating your risk and money in one property, with Fundrise you can surgically invest smaller amounts of money (as little as $1,000) in several properties with potentially higher returns across the entire country. The average historical range is between 8% – 15%, and unlike P2P lending, there’s a physical asset that actually has value. 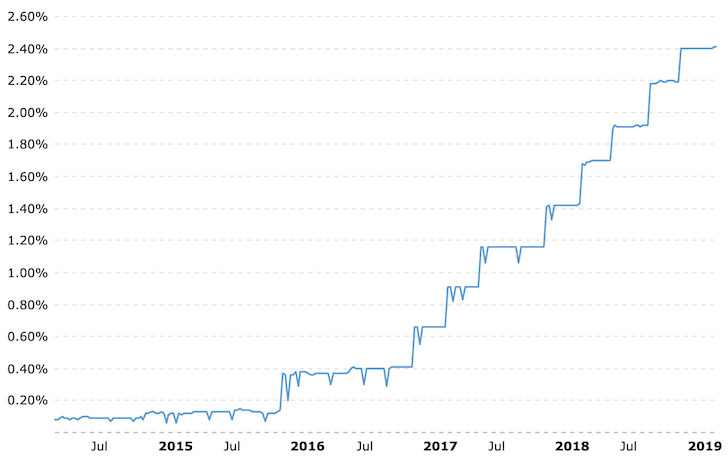 After selling my rental house in San Francisco for 30X annual gross rent, I reinvested $500,000 over the $1,788,000 proceeds in real estate crowdfunding in the heartland of America. It makes a lot of sense to arbitrage the valuation and net rental yield differentials between expensive coastal city real estate and inexpensive heartland real estate. Fundrise is free to sign up and is available for all investors – accredited and non-accredited. Of course, there will always be investment risk and platform risk to be aware of. Personal Capital – Personal Capital has the best financial tools for investors and people who are the most serious about planning for a healthy retirement. You can easily x-ray your portfolio for excessive fees, get a snapshot of your asset allocation by portfolio, track your net worth and plan for your retirement. Think about Personal Capital as a sophisticated version of Mint or an interactive version of Excel. I spent almost two years consulting for them in their San Francisco and Redwood City offices and have sat down with all senior management. I’m also a small shareholder in the company. Are you on the right retirement path? There is no rewind button. Here’s my comprehensive Personal Capital review. The just raised another $55 million in capital in 2019 and are preparing for an IPO. Wealthfront – Based in the San Francisco Bay Area, Wealthfront is the original robo-advisor and launched in 2011. Its board includes Dr. Burton Malkiel, professor of economics, emeritus and senior economist at Princeton University. He is most known for authoring the classic finance book, A Random Walk Down Wall Street, now in its 12th edition. Wealthfront remains as a pure robo-advisor with no human advisory component. Sample Wealthfront Portfolio with a 10 risk tolerance. Free to sign up and get your own portfolio. Here’s my comprehensive Wealthfront review. They raised $75 million in 2018 now that they have over $11 billion under management. CIT Bank is currently my favorite online bank where you can earn maximum interest in a money market account or 12-month CD. Because they are an online bank, they don’t have expensive physical store overhead. As a result, they can pass on their savings to you. My favorite product of theirs is their savings builder account. They are paying a very healthy 2.45% APY if you maintain a $25K balance or deposit $100 a month. 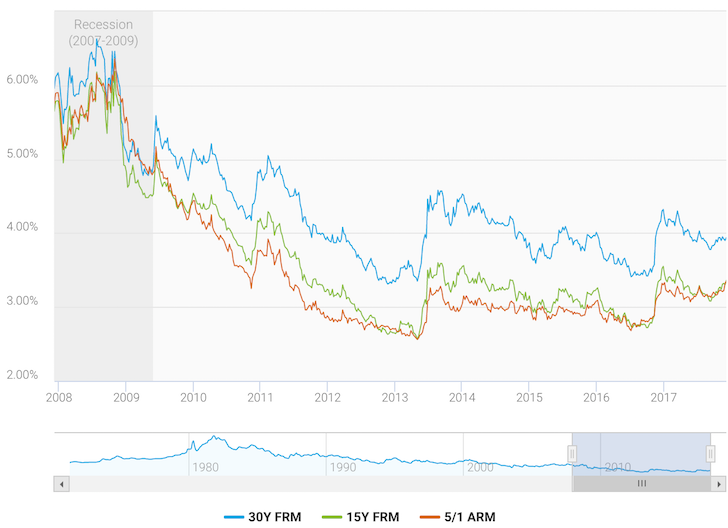 2.45% is huge because the 10-year bond yield is only at ~2.6%. You can finally take advantage of higher interest rates by making a higher rate of return on your money. It feels great to earn a risk-free rate of return after such a strong bull market since 2009. Here’s my comprehensive CIT Bank review. LendingTree – LendingTree was founded over 20 years ago and is a publicly traded company on the NASDAQ with a market capitalization of over $4 billion. It has one of the largest online mortgage marketplaces where lenders compete for your business. Every time you are looking for a new mortgage or want to refinance, it behooves you to first get free quotes so you can use the quotes as leverage to get the best rate possible from potential lenders. Get something in writing is very powerful for negotiations. Here’s my comprehensive LendingTree review. Esurance – Esurance is known for its user-friendly website, interactive tools and top-notch mobile apps. It’s best used by people who like to manage their own policies, have straightforward insurance needs and prefer to get quotes online. Esurance is owned by industry giant Allstate and provides for free some of the most competitive rates online. Here’s my comprehensive Esurance review. PolicyGenius – In the past, you’d have to call a life insurance carrier one by one, fill out an application form, wait for a while, and not know whether the quote you received is any good or not. PolicyGenius helps you see multiple quotes at once so you can make a more informed decision. I recently had dinner with both founders, Jen and Francois in San Francisco, and they are experiencing explosive growth. Here’s my comprehensive PolicyGenius review. 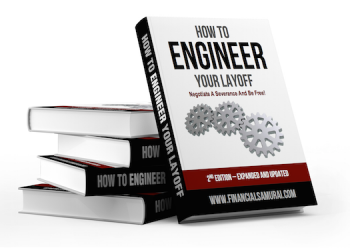 How To Engineer Your Layoff – I have spent seven years crafting this 150-page ebook that teaches employees how to negotiate a severance and be free. Not only can you receive a severance, you may also get healthcare benefits, keep all your deferred compensation based on the regular vesting schedule, and be eligible for unemployment benefits. Having a nice financial runway to move on to the next career, start a company, retire early, take care of a family, or simply travel the world is priceless. I personally negotiated over a $500,000 severance package that paid out every year from 2012 – 2017 so I could comfortable work on this site and travel the world. If you are going to quit anyway, you might as well try and negotiate a severance. You have no downside to fighting for your rights. About the Author: Sam worked in investing banking for 13 years. He received his undergraduate degree in Economics from The College of William & Mary and got his MBA from UC Berkeley. In 2012, Sam was able to retire at the age of 34 largely due to his investments that now generate roughly $250,000 a year in passive income. He spends time playing tennis and taking care of his family. Financial Samurai was started in 2009 and is one of the most trusted personal finance sites on the web with over 1.5 million pageviews a month.